Congratulations, Gonzalo Higuain. The Argentinian today scored his 100th Serie A goal, hitting the net twice as Juventus beat AC Milan. Higuain, 29, has scored 101 goals in 153 games in Italy’s top flight since arriving in Italy from Real Madrid in July 2013. 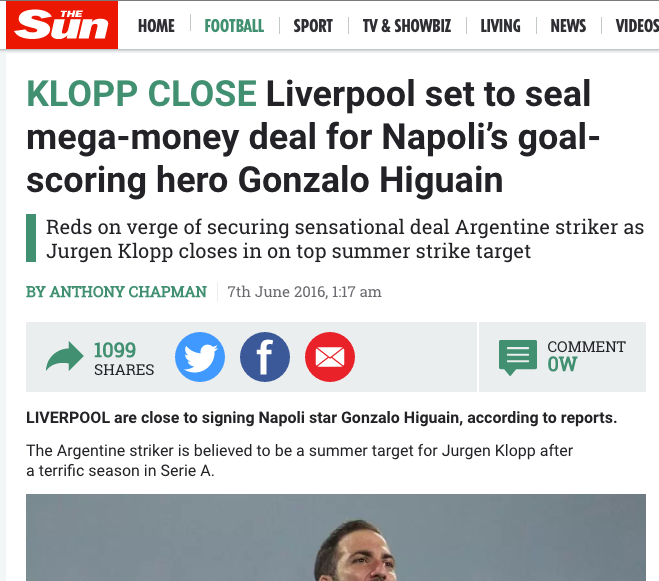 You will recall that Higuain joined for €40 million. In 2016 he moved to Juventus for €90 million. But none of that happened if you read the Sun. 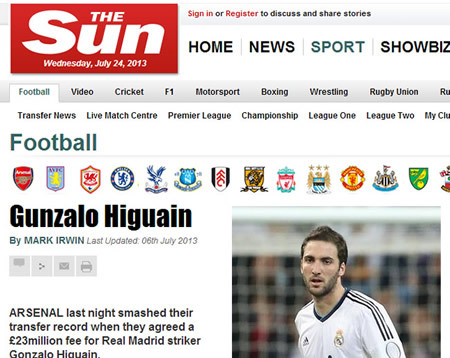 According to the paper of record, Higuan plays for Arsenal, who he joined for £23m in 2013.